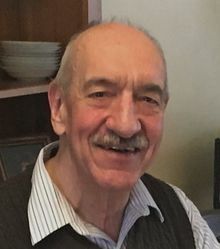 John Leslie Lee age 79 of Lincoln formerly of England passed away on Tuesday, January 29, 2019 at Care One in Concord. He was the husband of Kathleen McDougald-Lee. John was born on April 8, 1939 in Moss Bank, Saint Helens, England the son of the late Leslie Lee and Emma (Bryan) Lee. After graduating as a young man from Prescot Grammar School, he attended Manchester Institute of Science and Technology in England with a first class honors degree in Electrical Engineering. Later, in the United States, he earned a Masters in Electrical Engineering as well as an MBA from Northeastern University. He was employed at the Foxboro Company for 20 years serving first as an Electrical Engineer and later as Project Manager and Intellectual Property Manager. After the Foxboro Company he prospered as an independent Patent Agent for another 20 years. John was a regular attendee of the Episcopal Church and a great advocate of transcendental meditation. As a younger man he enjoyed cycling and canoeing. He was an avid reader throughout his life. Most recently he enjoyed his daily walks, especially around Walden Pond. Most of all he loved his family of whom he was most proud. He was blessed with experiencing the beautiful music in church and concerts in which Kathy performed. Along with his wife John is survived by his daughter, Susanna Lee Sullard of Colorado Springs, CO and son Gordon John Lee of Cambridge, his daughter-in-law, Susan Marie Fisher, his grandchildren, Tori Katrina Cooper, Ryane Thomas Sullard, Patrick John Sharpe, Brendan Lee Sharpe, Colin Gordon Lee and Aidan William Lee and great-grandchildren Dexee Jane Sharpe and Cooper Lee Sharpe. He is also survived by his brother Frank Lee, niece Georgina Helen Brennand and nephew Mark John Lee all of England. Family and friends will gather to honor and remember John on Friday, March 1, 2019 from 5:00-7:00 pm in the Concord Funeral Home, 74 Belknap St., Concord. His memorial service will be held on Saturday, March 2 at 11:00am at Saint John's Episcopal Church,74 Pleasant Street, Arlington, MA. I always enjoyed spending time with Gordon's dad. He was a very interesting person: intelligent and kind with a subtle wit. He was always very open-minded and young at heart. I wish I had been able to spend more time with him. My Grandfather taught me so much about life, spirituality, and purpose and such strong memories of him and what he shared with me will continue to form my actions day after day. I've missed him so much, I always will, but I will carry him with me, everywhere.